Based on the traditional Christadelphian Daily Bible Readings which covers the old testament once and the new testament twice in a year by reading 3 passages a day. 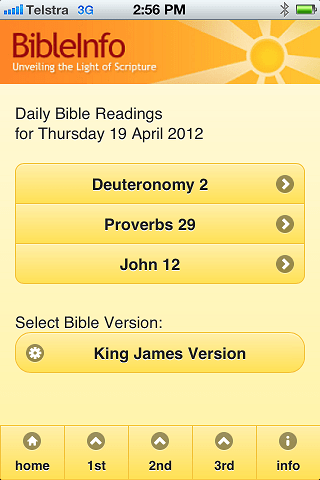 The app opens to show the bible reading for the current date adjusted for the users timezone. 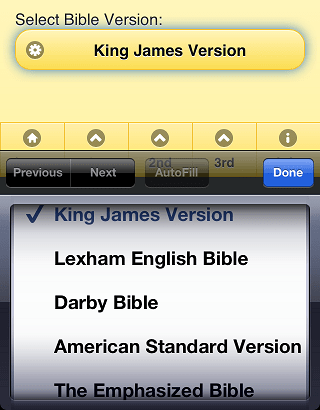 Select from a number of different bible versions. 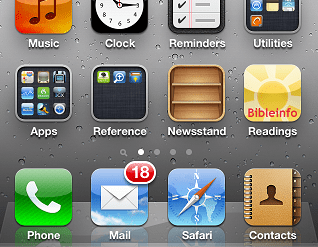 Text of the selected daily bible reading is displayed. 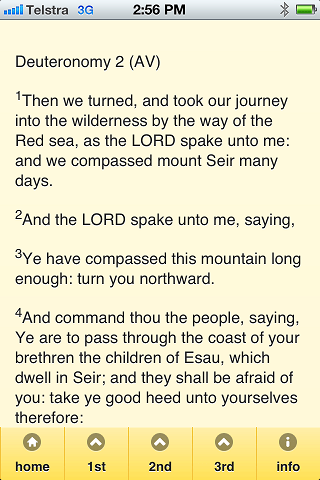 Easy navigation to the the next reading. Can be installed with icon on home screen for easy access to the app.